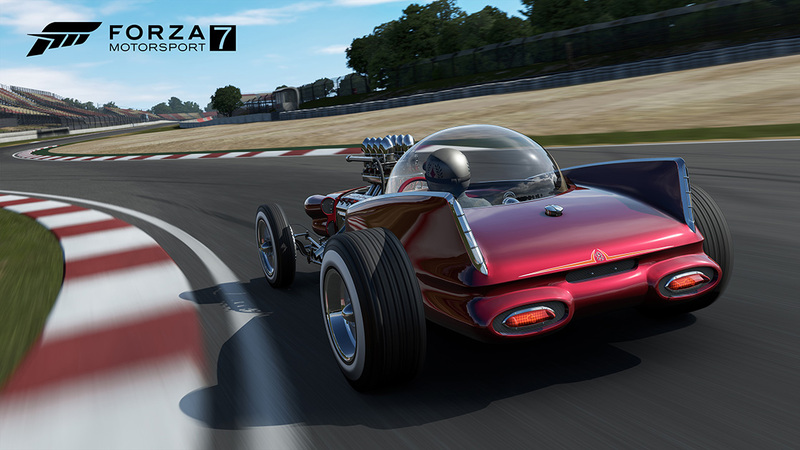 The new year has begun and that means the first update of 2019 for Forza Motorsport 7 is nearly here. 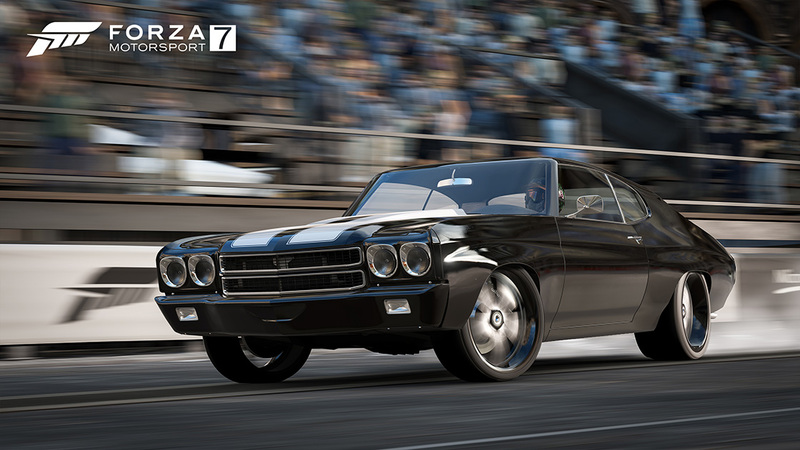 Arriving on Tuesday, January 15, the next update for Forza Motorsport 7 includes the cars of the Barrett-Jackson Car Pack. 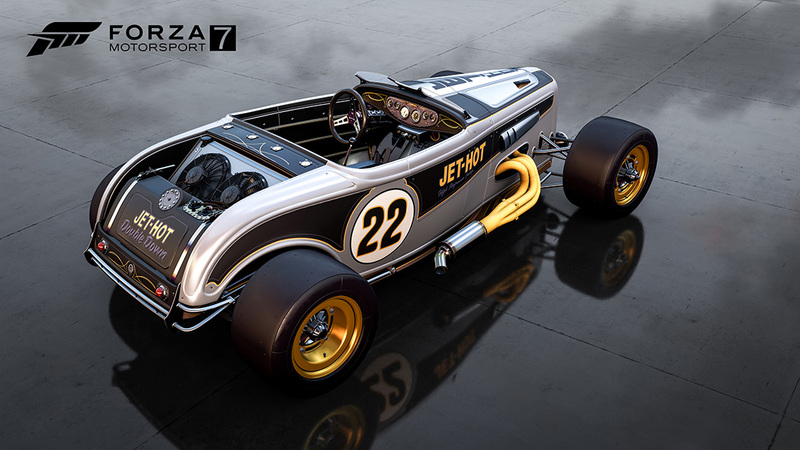 The team at Turn 10 Studios has worked closely with the world-famous automotive auction events company to select the vehicles of the Barrett-Jackson Car Pack, bringing seven historic collectible vehicles to Forza Motorsport 7. 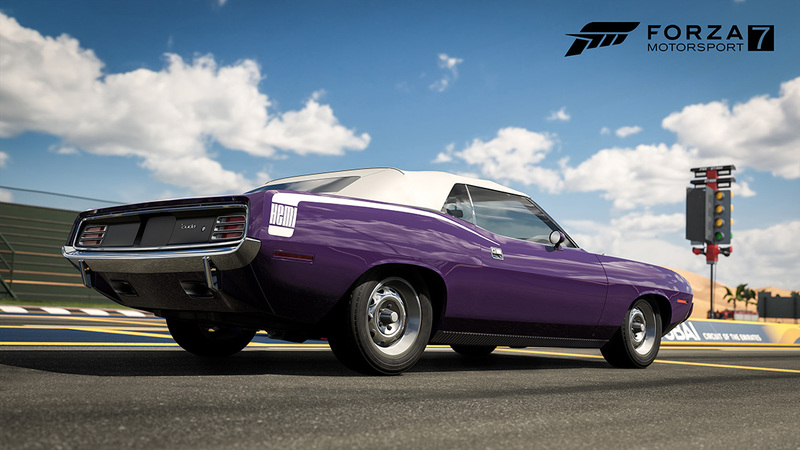 The Barrett-Jackson Car Pack is available for separate purchase and is included as a free add-on for players who own the Forza Motorsport 7 Car Pass. The vehicles of the Barrett-Jackson Car Pack are a veritable “who’s who” of collectible automobiles from decades past. 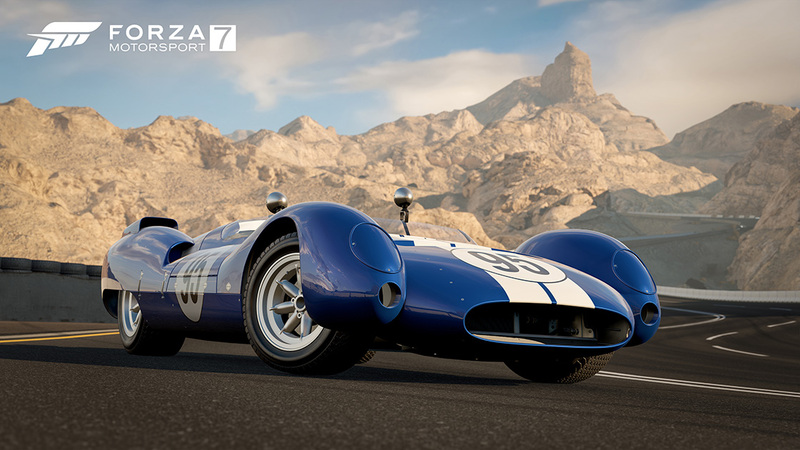 From the hand-built 1932 Ford Custom Double Down to the sleek, race-ready 1963 Shelby Monaco King Cobra, these cars have been desired by drivers around the world since their introduction and now is your chance to experience them for the first time in Forza Motorsport 7. The Monaco King Cobra is a remarkable piece of history, built by Carroll Shelby and the Shelby American team to race in the first year of the USRRC (United States Road Racing Championship). This was an eight-race series with both prototype and GT classes, similar to today’s IMSA series. Driven that year by Ken Miles, the King Cobra was no stranger to the winner’s circle. The King Cobra was also the forefather of the Ford GT40, since it was a development vehicle for that program. With a screaming 289 V8 pushing out 400 hp and a chassis that weighs a little more than a bag of feathers to go with that racing provenance, it’s no wonder it sold for $1.65 million at Barrett-Jackson in 2014. Imagine a world where as things age, they only get better. It’s certainly true in the case of the Chevy Chevelle. Those classic muscle car lines call to the heavy-footed. The rumble of the V8 begs for that light to turn green so it can show its stuff by laying down two smoky black lines on a strip of pavement. Now take that vision and add a mountain of automotive sugar in the form of a 572 CI big block pumping out over 600 horsepower and all the go-fast bits to make this hunk of metal stop and turn never-before possible. It’s all here. Now it’s time to but the hammer down and wave bye-bye. Although the original Bronco was produced from 1966 to 1977, the model changed very little over that run. 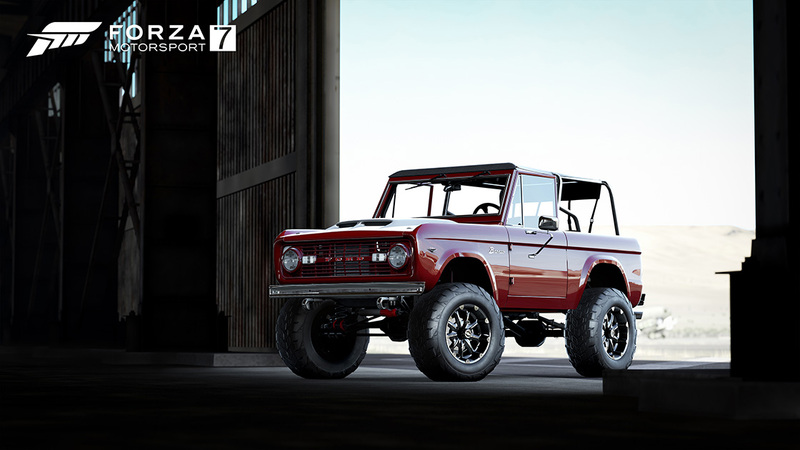 In fact, as the Bronco expanded the interest of off-road enthusiasts and competed with the Jeep CJ and International Scout, the option list became shorter. Not a problem for the team that upgraded this special Barrett-Jackson edition. They got right to the meat of this collectible off-roader and made it better than Ford ever predicted. Start with a nicely beefed up 351 Windsor swap. Add in a hefty lift and 35-inch tires and there’s very little reason to think anything will bust this Bronc. The 1932 Ford could easily be the most popular hot-rod of all time, but this example was born with a much different destiny. It was the product of a discussion to build a versatile, eye-catching promotional vehicle; one that could blow just as many minds chasing cones at an autocross event as it could doing runs at the Bonneville Salt Flats. Looking at its profile, you might think it’s just another nicely done classic, but take a closer look and you will see the custom all-wheel-drive system. Or that Indy-style pushrod suspension. If you have any more questions, just let your right foot do the talking and the 576 cubic-inch John Kasse Boss 9 V8 will put you in your place, firmly planted into the back of the Double Down’s driver seat. The 1950s gave birth to hot-rodding and car customizing became much more of an art form than a practical exercise designed to wring as much speed out of a car as possible. The “Hula Girl” is a beautiful example of what can be done with the iconic 1932 Ford. This is a “full-fendered” roadster. It first showed up at the Oakland Roadster Show in 1952. Then, two years later, it was channeled, which allowed the body of the car to sit lower without altering the suspension. Powered by a supercharged Ford flathead V8 with Ardun heads, this car is the epitome of what a hot-rod roadster should be. That’s probably why it is a part of Craig Jackson’s (the Jackson in Barrett-Jackson) personal collection. While little remains of the 1959 Plymouth that is at the heart of the “Atomic Punk,” the era it speaks to is as clear as that clear bubbletop. Harkening back to the creations of master hot-rodder Ed Roth, this 2008 build by Aaron Grote has been winning top awards since its debut. It’s a treat for the eyes but it was built to be driven, and the straight-piped 392 Hemi with eight individual carburetors will likely make your ears buzz as it knocks your socks off. Is it a tribute to the past? Or a symbol of what the future has brought? Either way, it’s always the right time to drive something this amazing. Rarity is just one factor that makes a Hemi Cuda convertible special. With just 14 models ever built and only five with a four-speed, this is without question a rare model, and properly optioned with the stuff of muscle car legend. In the world of Barrett-Jackson, Hemi Cuda convertibles have hammered for record-setting sale prices. Mopar fans will tell you there is nothing else like driving a Cuda with the top down, and that barely tamed Hemi under the hood. Want proof? Now’s your opportunity to find out in Forza. 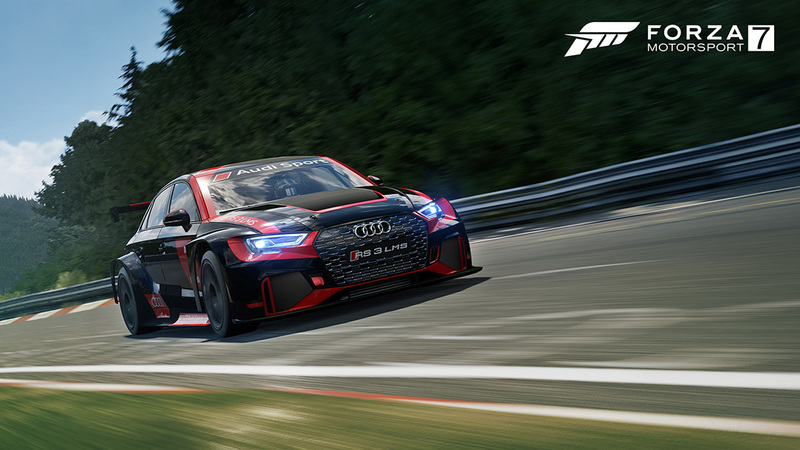 In addition to the cars of the Barrett-Jackson car pack, the January update for Forza Motorsport 7 also brings with it a new Spotlight Car – the 2018 Audi #1 Audi Sport RS 3 LMS. Touring Car Racing (TCR) brings the top manufacturers from around the world together to face off in spec racecars that really put drivers to the test. The RS 3 LMS takes the A3 line to the track in this menacing wide body with a huge front splitter and massive rear wing. Compared to the production model, which uses a 400hp Audi five-cylinder motor, this car is actually slower… until it comes to the turns, that is. TCR rules limit displacement to 2.0 liters, but the 345hp turbo four-cylinder is no slouch. You can find the RS 3 racing in 18 different countries in the series as well as the king of all tracks, the Nürburgring. And now you also find it in your Forza garage. The first season of 2019 Leagues has already begun. Dubbed “Fueling Up”, this season is challenging players with events that include some of the fastest cars in the game, including divisions like Forza P1, Rise of the Supercar, and GT Racing Reborn. A new Bounty Hunter Rivals event begins on January 18! This month, players will be piloting the 2009 Lotus 2-Eleven around Road Atlanta Full Circuit. The target? The Forza community itself. Final position on leaderboards will determine what prizes you win and, if past “leaderboard Bounty Hunter” events are anything to go by, the rewards will be sweet indeed. Elsewhere in Rivals, we’ve got a new event starring the 1963 Shelby Monaco King Cobra from the Barrett-Jackson Car Pack on Indy GP, as well as an event featuring the January Spotlight Car on Dubai Full Circuit. New #Forzathon events are on their way in Forza Motorsport 7. Coming later this week, look for a new drift event on Maple Valley that will require a bit more from those who like to get sideways. 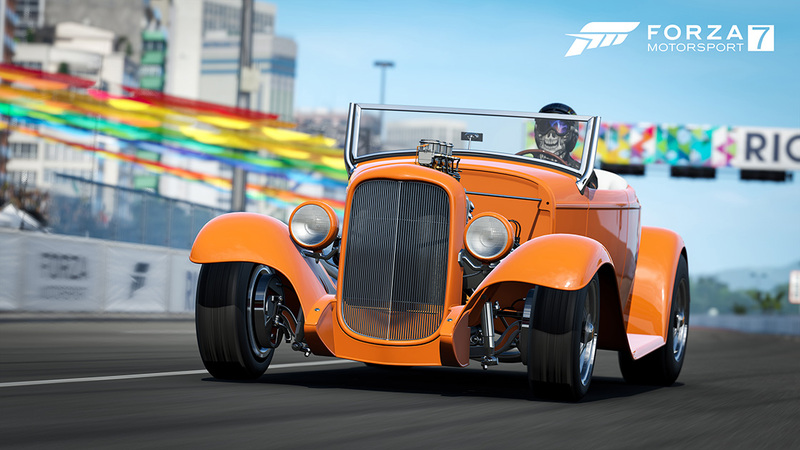 Next week, we’ll have three new events that will feature Chevrolet cars, Vintage GT division cars, and more.